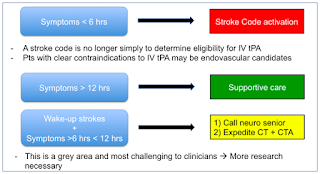 Ischemic stroke and Transient Ischemic Attack have been a vigorously studied aubject, particularly in the past few years. With numerous updates and recommendations, we will provide an updated guide for Emergency Physicians in regards to ischemic stroke and TIA management and workup. 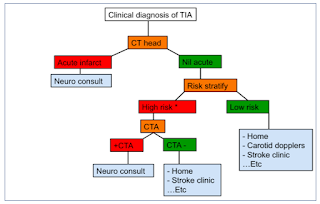 Higher risk patients should receive an CT-A prior to leaving the Emergency Department. 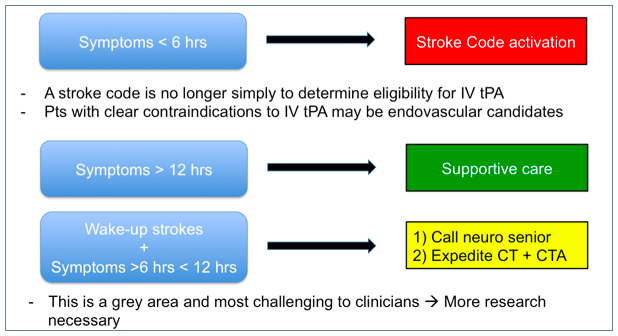 Carotid artery stenosis ≥ 50% (in conjunction with vascular surgery). Of note: these indications for neurology referral are predicated by imaging findings, rather than clinical findings.